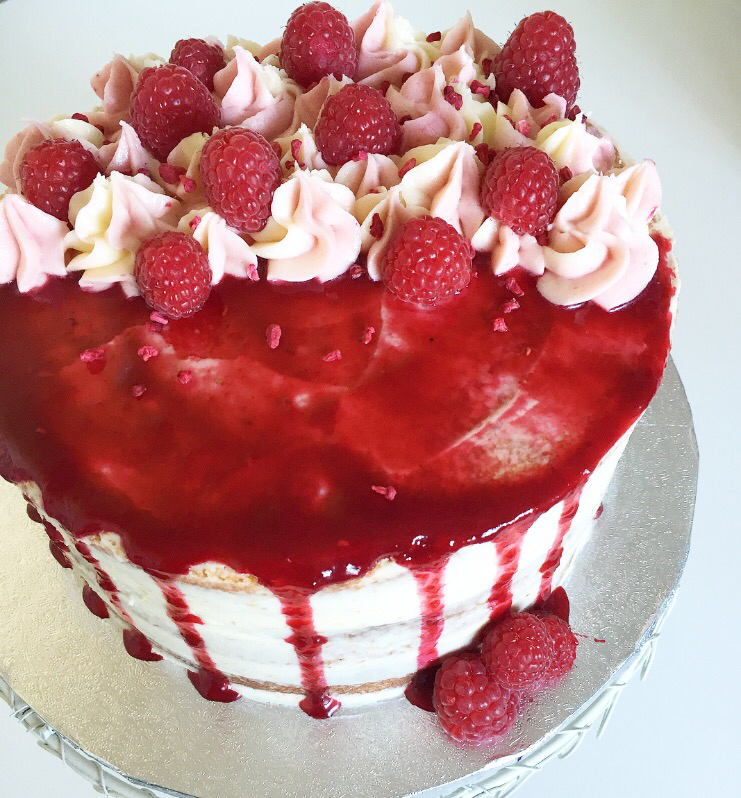 If you watch Bake Off, there was controversy a couple of weeks ago when Paul dubbed Benjima’s naked cake a ‘bit of a mess’ or perhaps the word was ‘untidy’ I barely remember now because it was ridic. I really love the rustic look of naked cakes and despite other people’s opinion, I think you can make them look pretty – there’s a reason it’s become one of the most popular choices for weddings no?! Coming to the party as a dressed up Victoria Sponge, this three layered raspberry delight has homemade raspberry sauce swirled through the sponge and sandwiched between each layer with a generous spread of vanilla buttercream – it was so moreish that my family scoffed it all – bar two slices, which were mine. The drip effect is inspired by my recent bake, the Bourbon Biscuit layer cake (and my first attempt at a drip) because it was actually a lot of fun to make. 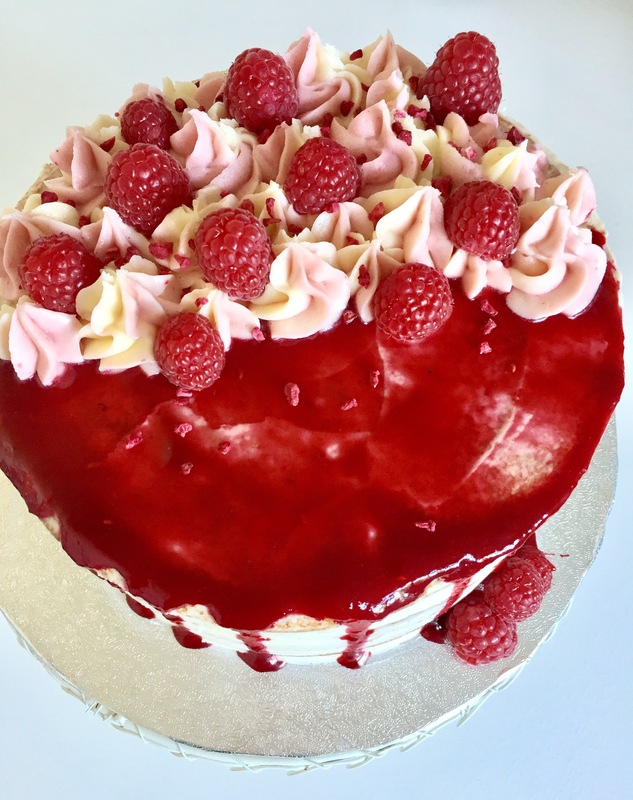 Though slightly trickier as the raspberry sauce was slightly runnier than the chocolate, it’s pretty easy and can be achieved with or without a piping bag. If you’remaking this cake fora celebration, like I was, use the tip below to get ahead. TIP: You can make the sponge layers the night before along with the jam, just leave to cool completely before wrapping in cling film tightly and then placing in the fridge. This also makes it easier when it comes to leveling the cakes by cutting off any dome tops. Enjoy, I know we did! Just amazing! Want one slice so badly! Lovely looking cake! 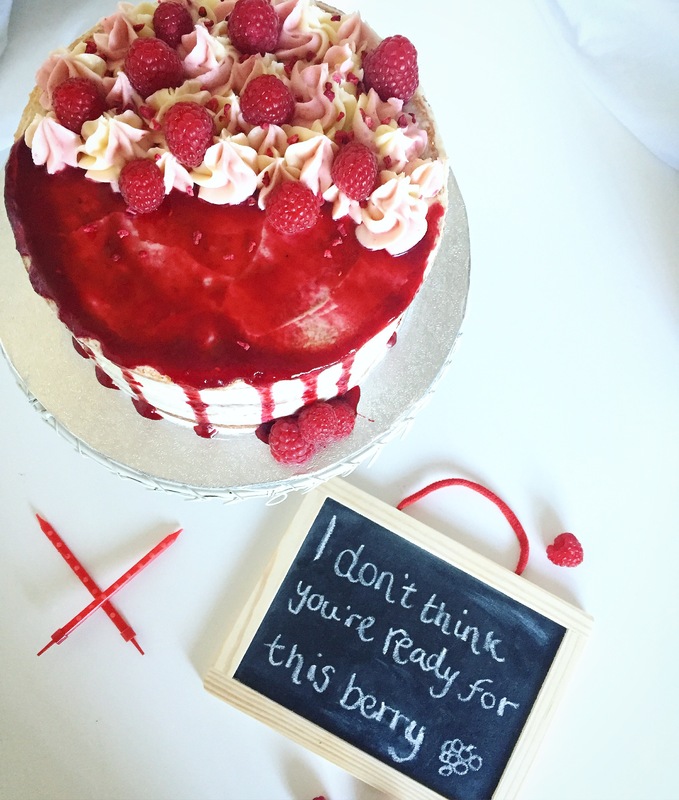 I’m with you on naked cakes. This looks sooo tasty! 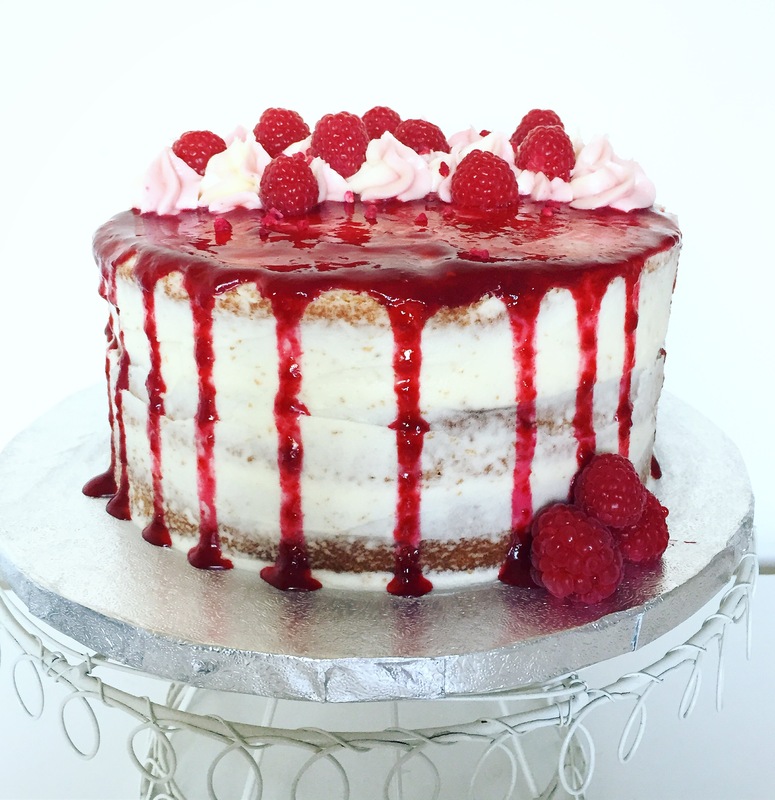 Agree with you on Paul’s comment on GBBO, I was shouting at my TV at that point that he was wrong and naked cakes are lovely! Yeah I was thinking they are fashionable and how does he, of all people, not know that! Yumm! Looks amazing as always. Bake Off Finals soon, I can’t wait! Yes, I’m so sad Selasi left 😦 I think Candice could easily win though.